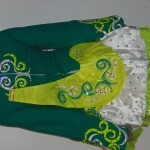 Gavin Doherty dress for sale, made for the 2010 Oireachtas, original owner. 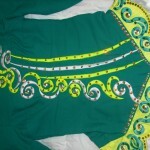 Green bodice with highlighter yellow and white Celtic swirls and swooshes to add to the asymmetrical design. 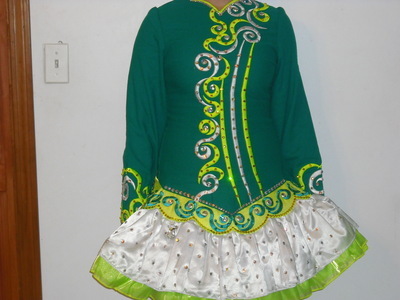 White satin dropped waist skirt covered in AB Swarovski crystals over highlighter yellow and neon green layers with the neon green layer dropped a bit from under the satin skirt to add dimension (and length when dancer needed it!) 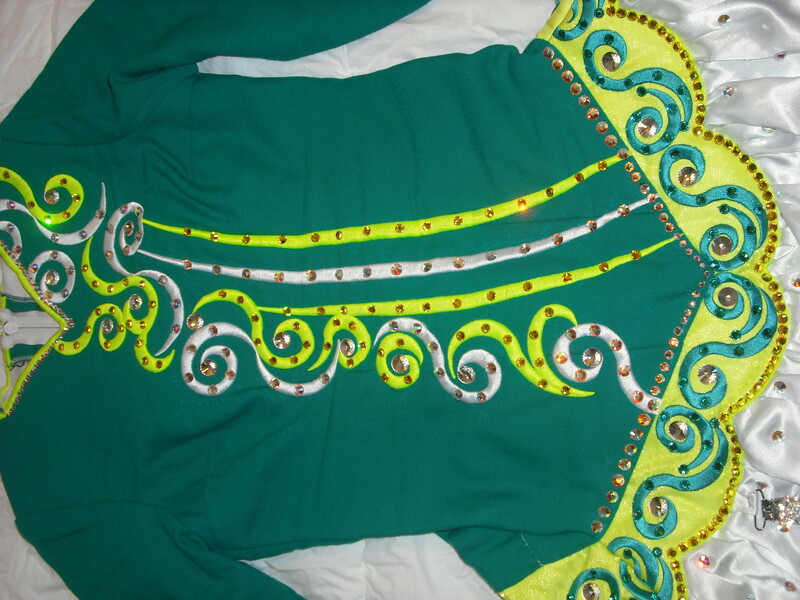 Highlighter yellow soft sash with more swirls completes the dress. 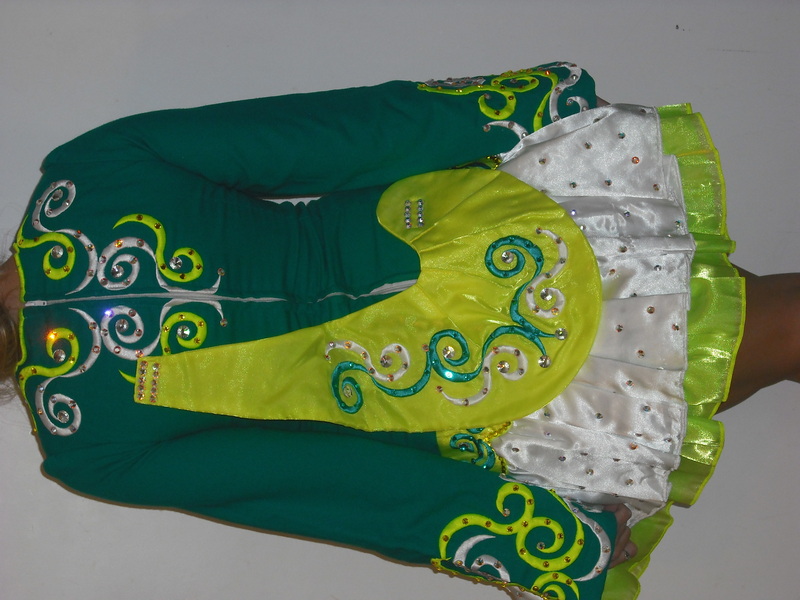 Numerous crystals in different colors added to enhance the incredible stage presence! Yellow kick pants and crystal number holder included. Asking $1650.00, shipping included within the US. Will accept return and refund the cost of the dress, less cost of shipping. Please email with any questions. Asking Price: $US1350. Shipping costs are included for my own country, overseas shipping is extra. Will accept returns and refund the cost of the dress, buyer to pay all shipping costs.